My new book, Free College identifies the habits, practices and strategies used by successful Full-Ride Scholarship winners. 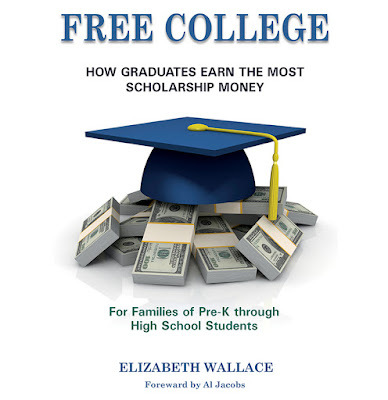 It's a valuable tool for parents, grandparents, teachers and anyone in the lives of Pre-K through High School students. You can help students acquire these fundamentals throughout their growing up years, so when they reach their senior year in high school, they may win more free cash for college. The goal is to graduate college debt free and start life with financial freedom. Free College is available now. To buy, click this link: BUY NOW If interested in making a bulk purchase for a nonprofit group, send an email to FreeCollegeInfo@earthlink.net. Remember, scholarships and grants are far better than loans.